Erin Belieu, a poet who teaches in the MFA program at Lesley University, has helped organize a series of protests. Just after the November election, Erin Belieu was watching MSNBC when she found herself outraged by an exchange. Network commentators, noting incoming president Donald Trump’s disregard for facts, suggested the nation had entered a “post-truth” era. “That was the moment I got up off the couch and started e-mailing,” says Belieu, a poet who teaches in the MFA program at Lesley University. As a cofounder of Vida, a literary organization focused on issues facing women writers, Belieu has a long list of contacts. She proposed to friends and colleagues a protest to mark the inauguration of a leader whose views on immigration, climate change, and various social justice issues they abhor. The response was overwhelming. On Sunday, Writers Resist, as the coalition was quickly named, will host more than 90 “counterinaugural’’ events in cities around the country. While Writers Resist will probably be the largest effort, other American poets and writers are planning demonstrations tied to the Jan. 20 swearing-in, the latest reflections of how Trump has ignited a sense of activism in the nation’s literary community. Stirrings of political action began before the election, with some of the biggest names in publishing lending their names to efforts to denounce Trump. Last May, New England writers Stephen King, Junot Diaz, Claire Messud, and Richard Russo were among more than 400 authors to sign an open letter calling for reason and tolerance. Beyond the election, writers have found other causes for protest. Last month, Milo Yiannopoulos, a Breitbart writer and Trump supporter who was recently banned by Twitter for leading an online harassment campaign against comic actress Leslie Jones, earned a book contract from a Simon & Schuster imprint with a reported advance of $250,000. News of the deal sparked a call among some members of the literary community for a boycott of the publisher. 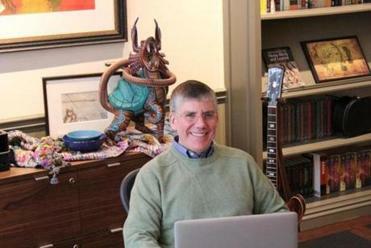 Last week, Rick Riordan, author of the popular “Percy Jackson and the Olympians” books for middle-grade readers, refused an invitation from the Texas Legislature to honor him as a Lone Star writer. The Texas native, who now lives in Boston, took to Twitter to decline, citing a proposed state Senate bill seeking to control which bathrooms transgender people may use. Riordan’s latest book, “The Hammer of Thor,’’ features a gender-fluid character. Sunday’s local event, set for the Boston Public Library, will include readings by writers, including Jabari Asim, Jennifer Haigh, Marianne Leone, and Boston Poet Laureate Danielle Legros Georges. There’s another event scheduled at the Boston Sculptors Gallery in the South End, and a third at the Rocky Neck Cultural Center in Gloucester. Also on Sunday, poets in New York, New Orleans, Austin, and Los Angeles will meet on the steps of their respective city halls to declare themselves Poets Against Trump. Meanwhile, the Association of Writers and Writing Programs is making plans to stage a protest at its annual convention in Washington in February. On Thursday, inauguration eve, a diverse group of Bostonians called Together We Rise will present its own “resistance festival” at the Strand. That event will feature a kickoff procession, a “mobilization fair” with at least 16 local activist organizations, and a performance including music, comedy, spoken word, and testimonials from some of the identity groups feeling disenfranchised by the election. Also on Thursday, Boston-area theater groups will join more than 100 others nationwide in the Ghostlight Project, a demonstration seeking to highlight the importance of inclusion. ArtsEmerson and HowlRound will host the event, with the Huntington Theatre Company, American Repertory Theatre, Gloucester Stage Company, and several others participating. The reason writers and others in the creative arts are banding together to oppose the values and policies of the incoming president, says Daniel Evans Pritchard, point person for the Boston edition of Writers Resist, is simple: Words matter. Belieu will be in New York City for the Writers Resist flagship event, hosted by PEN America, a writers’ organization that defends free speech. She says she initially intended to create a single program: the New York event, which will include readings by Boston University’s Robert Pinsky, Mary Karr, Masha Gessen, and many others. 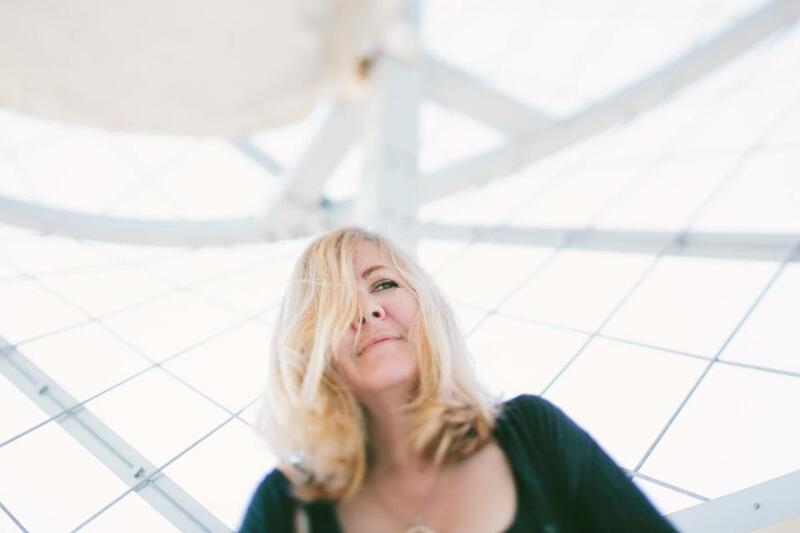 But when she asked her friend Cheryl Strayed (author of the best-selling memoir “Wild”) to participate, Strayed suggested a satellite event in her own city. Though the Manhattan event will conclude with a symbolic march to Trump Tower, it’s meant to be less a protest than an “affirmation,” Belieu says, with readings from the Constitution, the sermons of Martin Luther King Jr., and other foundational texts. “Writers Resist is meant to be a reinauguration of the ideals of the grand American experiment,” Belieu says.